The Phoenix DS4640E Series offers unbeatable protection for data and paper. 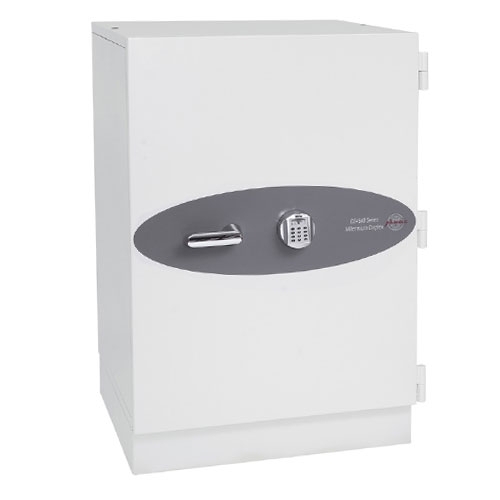 This safe provides absolute protection from not just fire but burglary, fire explosion, explosive attack, magnetic interference and is waterproof to a depth of 3 metres for four hours. 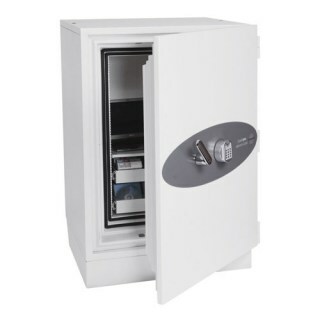 This safe has the ability to exceed the world’s most vigorous fire test, the EN1047-1 S120Dis standard. This demands that in a fire, the safe can resist the crushing pressures of a building collapsing upon it, explosion in the form of superheated gases, falling from a height of 10 metres through burning floors and a raging fire of 1100oC for 2 hours. If that seems hard enough, the internal temperature of the safe will not exceed a comfortable 52oC to keep all your data secure and intact.